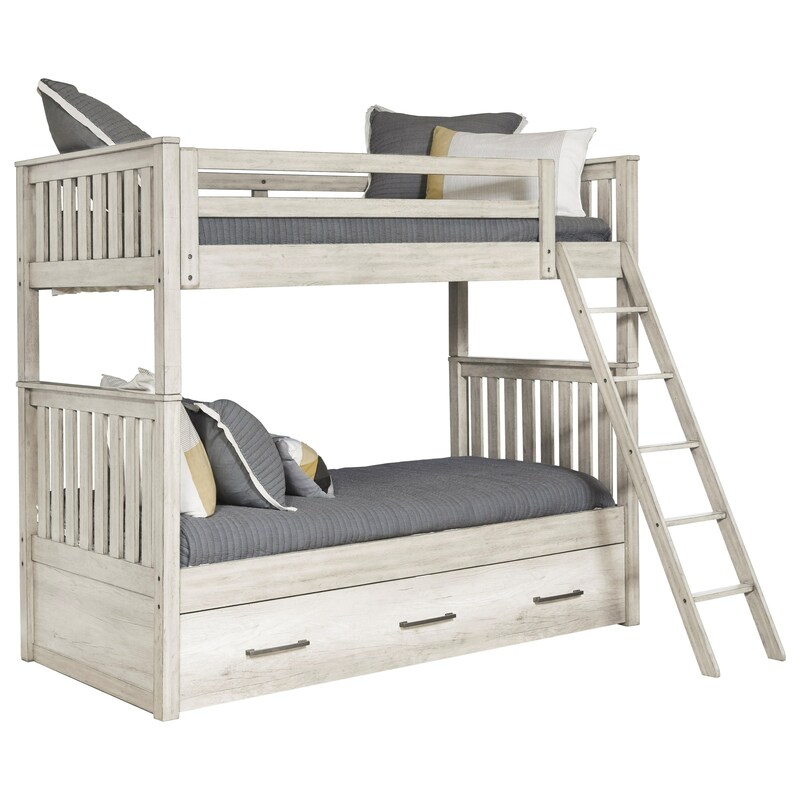 Complete your child's bedroom with cozy farmhouse style when you add this bunk bed to the room. 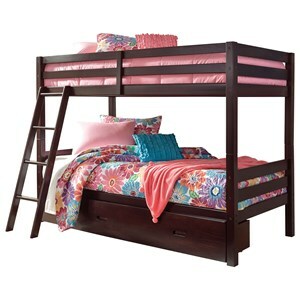 This piece also comes with a trundle unit, perfect for last minute sleep overs. 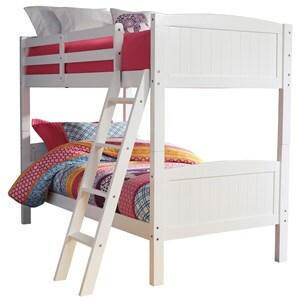 The Riverwood Bunk Bed with Trundle by Samuel Lawrence at Corner Furniture in the Bronx, Yonkers, Mount Vernon, White Plains, Manhattan, NYC, New York area. Product availability may vary. Contact us for the most current availability on this product. 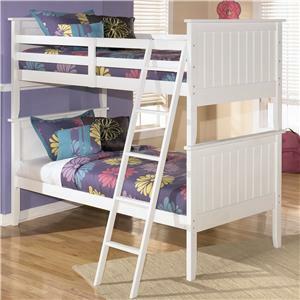 S466-731 GR Ladder & Rails 1 61.4" 1.5" 17.5"
S466-801 Trundle 1 76" 40.6" 12"
S466-730 Bunk Bed End 1 42.4" 2.5" 40"
Keeping your bedroom a calm and relaxing space is a simple luxury you soon won't be able to live without. The pieces in this collection have been designed with that thought in mind. Features such as wood chevron accenting and a whitewash finish create a charming farmhouse look for this collection that is sure to brighten your bedroom. The Riverwood collection is a great option if you are looking for Relaxed Vintage furniture in the Bronx, Yonkers, Mount Vernon, White Plains, Manhattan, NYC, New York area. Browse other items in the Riverwood collection from Corner Furniture in the Bronx, Yonkers, Mount Vernon, White Plains, Manhattan, NYC, New York area.